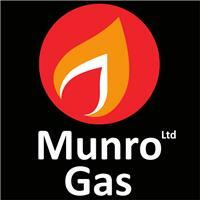 Munro Gas Ltd - Central Heating Engineer based in Warsash, Hampshire. At Munro Gas we have vast experience and knowledge about Boilers, Cylinders, Central Heating systems, Fires & Surrounds, Cookers and Bathrooms. We can do everything from small appliance installations to a full heating system refurbishment. Please do not hesitate to ask any questions or inquire as to why a certain process has to take place. All our staff, engineers and plumbers are friendly and here to help because we know what it's like to be in your shoes. We want you to know just how special you and your projects are to us, so we do our very best to ensure that you and your needs always come first. We even offer FREE no obligation quotations where we'll come out to you and design all your plumbing and heating works needed, especially if you are unsure about what you would like.